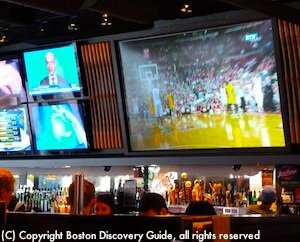 Where are the best Boston sports bars for being a Boston sports fan, enjoying a frosty Sam Adams beer, and watching your favorite Boston sports teams on the big screen? Jerry Remy's, Cask 'n' Flagon, and Boston Beer Works are just a few favorite Boston neighborhood bars where you can cheer the Boston Red Sox, Bruins, Celtics, and Patriots while enjoying a good meal and of course, some tasty brew. Predictably, most Boston sports bars cluster around Fenway Park and TD Garden ("the Gah-den" to locals). 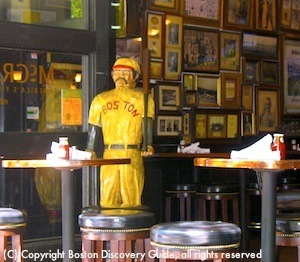 Several Boston sports bars can almost double as sports museums. As you sip your Guinness or Sam Adams beer, check out the walls covered with Boston Bruins memorabilia, old Boston baseball tickets, photos, Red Sox jerseys, and many more artifacts from Boston sports teams. Finally, you'll even find a few sports bars where you can play billiards, ping pong, bowl, and more. Being a Boston sports fan has never been so much fun! Bleacher Bar - A Boston Sports Bar in Fenway Park! Bleacher Bar is the Boston sports bar of your fantasies . . . right on the field at Fenway Park. 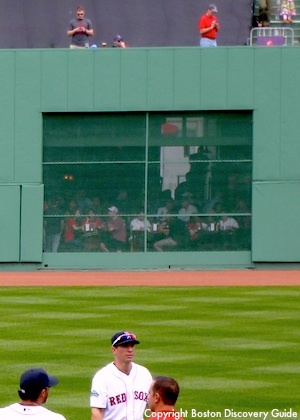 Yes, you'll sit right under the Green Monster at field level, looking straight across to home plate. Is this even better than having Boston Red Sox tickets? A garage door opens right onto the field, except for when a game is underway or the weather is cold. Then, a glass window slides across so that you can still see the players but they can't see you. Sure, Bleacher Bar is kind of small and gets crowded if a game's on, but no matter . . . . you can enjoy your Sam Adams, nibble on some bar food, and cheer your favorite team. A 45-minute limit on tables by the windows gives everyone a chance at the field-side seats. Jerry Remy's Sports Bar and Grill, named after the former Red Sox second baseman, manages to be both the ultimate Boston sports bar with its huge wall of big screens, comfy seating, and ability to serve up any drink you might imagine - AND a good place for casual dining on non-game days when the pace is less frenzied. Choose from 2 locations: 1265 Boyslton Street (617-236-7369), a block from Fenway Park, offers a roof deck during warm weather than overlooks the ball field; 250 Northern Ave (617-856-7369), on the South Boston Waterfront, features spectacular Harbor views. 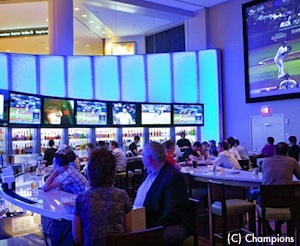 The award-winning Champions Sports Bar, located in the Copley Place shopping plaza at the Boston Copley Marriott Hotel in Back Bay, features lots of Boston sports memorabilia on the walls, 36 craft beers on tap, and many more bottled choices. The real draw, though, is the spectacular wrap-around plasma screen video wall where you can watch local and national games. If you're visiting Boston, you'll have a good chance of seeing your local team in action. Champions draws a lot of Boston locals as well. 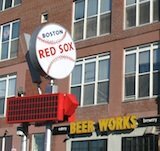 Lots and lots of hi def TVs and locations near Fenway Park and TD Garden qualify Boston Beer Works as a sports bar. However, the focus is on beer rather than sports. 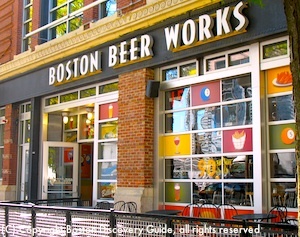 What makes Boston Beer Works special is that each location includes a micro-brewery. You can smell the malt in the air, and see the big beer-dispensing tanks right behind the counter. The breweries produce about 50 beers, ales, and lagers each year, with about a dozen or more on tap at any given time. 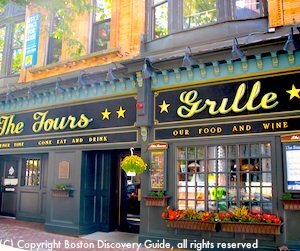 This is one place where you won't want to order a Sam Adams - instead, try the Boston Beer gourmet brews. You can try the samples, and then order the one you like best. The Beer Works near the Garden is the newest and biggest - plus, it has 15 billiards tables where you can shoot pool as well as enjoy patio seating in warm weather. Both locations are kid-friendly, and both get packed with fans on game days. 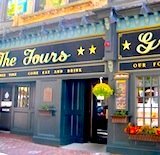 The Fours near TD Garden is famous among Boston sports bars for being rated the #1 Sports Bar in America by Sports Illustrated. Named after legendary Boston Bruins ice hockey player #4, Bobby Orr, The Fours also gets high marks for its food. The Fours has possibly the biggest Boston sports memorabilia collection in the city displayed throughout its two floors. Both kids and grownups enjoy finding items related to all their favorite Boston sports teams. 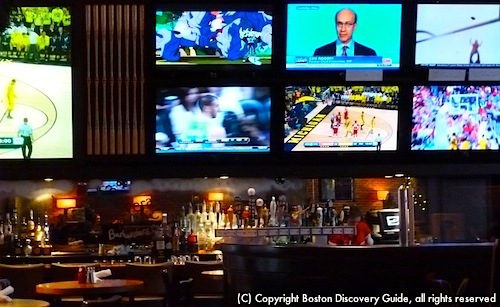 Unlike some Boston sports bars, which basically show just our local teams on their big screens, The Fours has Direct TV and satellite sports packages for all the major leagues. You can even watch Boston college sports here - although you'll mostly find the place full of Boston Bruins and Boston Celtics fans. If being a Boston sports fan is about how many games you can watch, The Fours is where you'll want to be. For those who like to play games while also watching them, Jillian's, located right around the corner from Fenway Park, is the place to come. 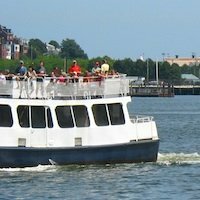 Although Jillian's huge size and emphasis on entertainment sets it apart from more typical Boston sports bars, you'll find lots to drink and lots of sports to enjoy. Big screens vie for attention with the bowling alley, 30+ pool tables, foosball, ping pong, and darts. And of course, you'll also find a number of bars and restaurants throughout the huge 3-floor entertainment complex. Tequila Rain, a margarita-themed bar/restaurant, connects with Jillian's, and you'll find even more plasma screens at street-level. Jillian's does tend to be pricey due to all of the entertainment options, so if you just want a beer and a big screen, you may prefer one of the more traditional Boston sports bars. 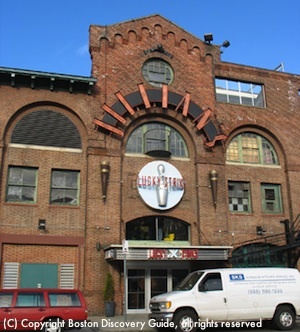 Although Jillian's is now part of a nation-wide chain of billiards-themed restaurants, Boston is where it all began back in 1988. Kings is another popular Boston sports bar with great beer, good food, and plenty of huge screens. Kings shows MLB, NFL, NHL, and NBA games, as well as college football and basketball. What makes Kings special, though, are bowling and billiards. Kings is the official bowling alley for the Boston Red Sox, and star players from our local teams have been spotted here. 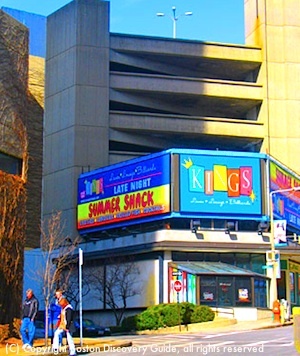 Located in Back Bay near the Hynes Auditorium, Kings is a favorite spot for Boston kids activities during the day. If you're visiting Boston with your family and you hit a bad-weather day, bring your children here to bowl while you reward yourself with something from the bar and watch some sports on the big screens. After 6pm, Kings is strictly 21+. Considered by many to be the original Boston sports bar, McGreevy's is also considered to be the first sports-themed bar in America. Opened in 1894, McGreevy's quickly became the favorite watering hole of local baseball players, fans, and politicians. It's where Red Sox Nation began and flourished . . . until, alas, Prohibition closed it down along with every other neighborhood bar in the U.S.
Until two modern-day Red Sox fanatics with ties to the Dropkick Murphys gave it new life. 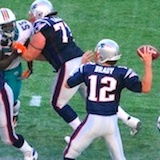 Now located in Back Bay not far from Fenway, McGreevy's is once again a popular Boston sports bar.